P.S. if you don't know what ETFs are, check out our free book. Some popular stocks and ETFs have both Canadian and U.S. listed versions. For example, Blackberry is listed both in Canada (Ticker: BB.TO) and the U.S. (Ticker: BBRY), and buying either gives you the same class of shares in the same company. There are also both Canadian and U.S. versions of ETFs that track the overall U.S. market (Ticker: VFV.TO in Canada and SPY in the U.S.). Since you have to pay for the U.S. listed versions in U.S. dollars and Canadian listed versions in Canadian dollars, it may seem like Canadian listed versions would be cheaper. After all, you wouldn't deliberately drive across the border to shop for the same product when our currency is weak. However, when it comes to financial products, there's no difference. Each U.S. listed stock costs just as much to buy as the Canadian listed stock. For example, as of this writing, each Blackberry share costs $11.15 U.S. At current exchange rates, it would cost us $11.89 CAD to buy the U.S. listed version. The price of the Blackberry shares listed in Canada? $11.89 CAD. You should understand why this happens. If the price of Canadian listed shares diverge from the price of U.S. listed shares, we have an opportunity to make money without taking any risk (Formally, this is called an 'arbitrage'). (3) Sell them for $11.15 USD./share. There is no risk involved in any of these steps, but doing so would net the trader 49 cents/share. Each time traders do this, Canadian listed share prices will go up (because traders are buying), and U.S. prices will go down (because they're selling), and settle at the point where each Canadian share cost the same as a U.S. share. This is why the price of U.S. and Canadian listed shares of the same company would never diverge for more than a few seconds, when exchange rates are taken into account. Similarly, there's no significant difference between buying Canadian listed ETFs vs. buying U.S. listed ETFs. If you buy U.S. listed ETFs, it means you have to convert the Canadian dollar yourself before buying, whereas buying the Canadian listed version means the ETF will convert your currency for you. Either way, you convert your currency to buy U.S. assets. You Can Currency Hedge, But Should You? Even though you can't avoid converting your currency to buy U.S. stocks initially, there is a way to avoid some of the currency risk (i.e. the risk that you'd lose money through exchange rate fluctuations), and that's through Canadian dollar hedging. I don't want to talk in detail about how hedging works right now because that's a topic of its own. But basically, hedging fixes future Canadian - U.S. dollar exchange rates, so that you can enjoy U.S. stock market returns without the effect of currency fluctuations. For example, you can buy the BMO S&P 500 Hedged to CAD Index ETF (Ticker: ZUE) to achieve this. 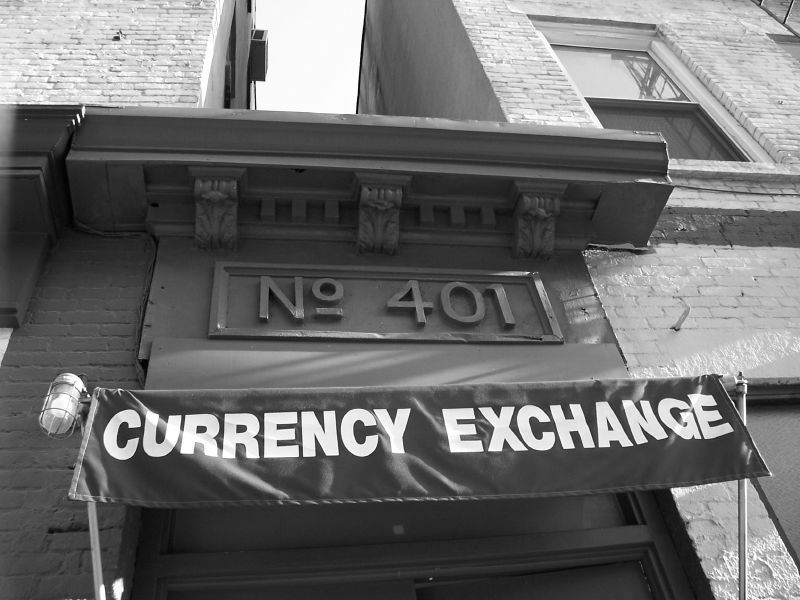 However, do you really want to fix the exchange rate? I don't. Historically, holding U.S. stocks and NOT hedging the currency has been safer than hedging it. That's because historically, the Canadian dollar has fallen relative to the U.S. dollar when U.S. stocks have fallen (e.g. a U.S. stock may fall 20%, but if the Canadian dollar falls 5%, then the U.S. stock only falls 15% in terms of Canadian dollars). There are two reasons why this happens. First, much of the Canadian economy consists of exporting resources like oil and copper. Therefore, the demand for Canadian dollars is highly dependent on the demand for these resources. When U.S. stocks fall, it's often because the U.S. economy is going through a recession. A recession means less economic activity - less home building, less factory building, etc. That lowers the demand for resources that Canada exports, so the loonie takes a hit. But also, when U.S. stocks go down, it's often because investors feel nervous. The U.S. is still the biggest economy in the world, so during times of fear and anxiety, investors buy up U.S. bonds to keep their money safe. This phenomenon is called 'flight to safety'. This appreciates the value of the U.S. dollar relative to the currencies of most other countries in the world, including Canada. Since nothing suggests that these facts will change in the future, I expect the Canadian dollar to weaken again the next time U.S. stocks take a hit. Therefore, I personally think it's better to invest in U.S. stocks unhedged. Because of the reasons examined so far, we gain very little by insisting on buying Canadian listed stocks/ETFs rather than their U.S. listed versions. However, buying the Canadian listed version does save investors the inconvenience of having to exchange currencies, even though they can do it cheaply. That's why if there's a Canadian listed version of the same stock or ETF, I try to choose them over the U.S. versions whenever I can for MoneyGeek's portfolios. However, most of the time, you just can't find the Canadian listed version of the stock or ETF. Members have asked me, "Why don't you put the Canadian version of such and such ETF in the portfolio instead of the U.S. listed one you chose?". Well, here's what I have to say. The U.S. listed ETF in the regular portfolios actually invests in a subset of U.S. stocks. If you check its history, it has actually outperformed other comparable U.S. market ETFs, and that's due to its methodology. I personally expect the ETF to continue to outperform. There's no equivalent Canadian listed ETF that invests in the same way. In summary, if you want to invest in U.S. stocks, you can't avoid exchanging your currency in one way or another. Remember though that this is a good thing, because investing in U.S. dollars makes them safer, not riskier. Because of these reasons, and because there are stocks and ETFs listed in the U.S. that you simply can't find in Canada, I will continue to incorporate U.S. listed stocks and ETFs in MoneyGeek's portfolios.